Enjoy hours of action packed fun with the VRSE Batman VR Entertainment System. Perfect for ages 8 and up, return to Gotham City as you seek to thwart The Joker’s latest cruel scheme and rescue the city from despair. 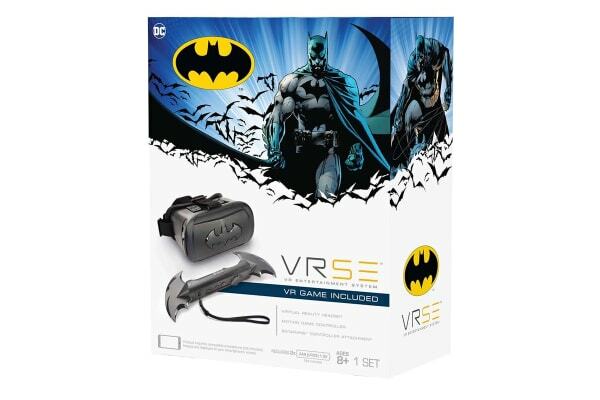 Simply download the free VRSE Batman app for iOS or Android, place your smartphone into the included VR headset and step into the dark streets of Gotham City – a world overrun by evil and in desperate need of your combat skills! The VRSE headset transforms your smartphone into a totally encapsulating virtual reality experience. 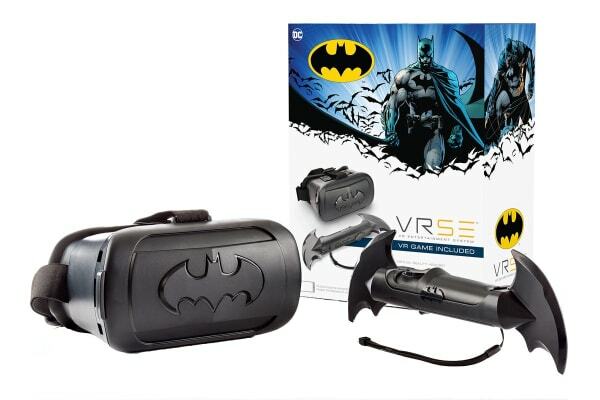 Not only your portal to Gotham City, the included headset can be used to view VR movies and other media supported by your smartphone. 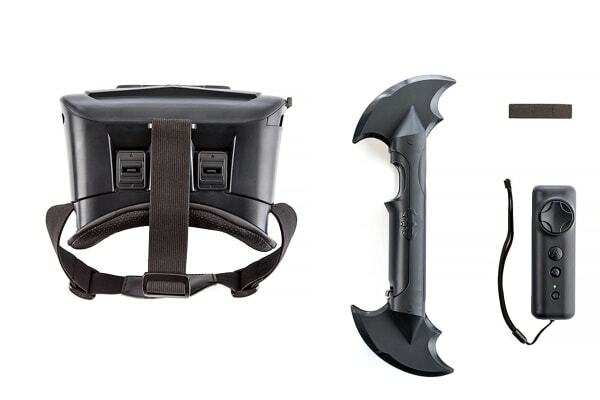 The included Batman themed attachment turns the supplied Bluetooth game controller into a Batarang. The motion controller immerses you into the world of Gotham City – fending off pesky henchmen or sharpening your skills at Wayne Tech. Use it to protect the city and its citizens.